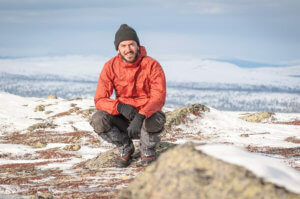 Pierre started the adventure company Explore Stockholm Outdoor in 2011 and still guides most of the trips (2017). He is born in France but lives in Sweden since 2010. Pierre is truly passionate by outdoor activities since he’s a kid. He’s grown up between the North Sea and the Alps, where he first discovered the joy of hiking, sailing, cycling, skiing and so on. He has a master degree in textile engineering and some years working as a Textile Product Developer, but is true passion is to be outside, so he came naturally with the idea of guiding tourists on his playgrounds around Stockholm. He completely fell in love with the Stockholm Archipelago. He guides in english, french, swedish or danish. Stockholm is an amazing city with many attractive museums, shops, galleries, cafés and parks, but as it is not a big capital like London or Paris, tourists can see mostly everything in a day or two. Therefore, they might still have plenty of time to discover the outside of Stockholm and combine the discovery of the Swedish nature with an outdoor activity such as hiking, sailing or paddling kayak. If you don’t find the activity that you are looking for, please contact us and we’ll help you to find the perfect one within our partners in Stockholm. Stockholm Free Tour organizes cultural tours on foot in the center of Stockholm all year round. Do not hesitate, it’s free!